When we think on Super yachts we surely know that the largest in the world is surely Azzam. It’s a private yacht built by Lurssen Yachts in Bremen, Germany. This super yacht is the most expensive motor yacht in the market, which is also available for charters. With it’s 180 meters in length is the largest private motor yacht in the world. In science it has so many features and one of them is a beam of 18 meters with an open plan and no pillars. It has also a submarine and her own missile defense system and can still travel in excess of 32 knots, powered by a combination two gas turbines and two diesel engines with it’s total power output of 70 MW, through four pump-jets. Azzam costed 600 million $ and it’s owner is Sheikh Khalifa bin Zayed Al Nahyan. To create Azzam was necessary about 6 million hours of work on every detail of the yacht. Engineer Mubarak Saad al Ahbabi directed the whole construction od Azzam, with technical engineering by Lurseen and including Nauta Yachts and interior French design by Christophe Leoni. The yacht was transferred from it’s original dock at Lurssen Shipyard (measuring 180m) to a way larger dock measuring 220m. Azzam successfully completed sea trials in 2013, prior to it’s commissioning. After one year of engineering, the yacht was build in just three years, which surely is record time to build such an amazing Super yacht. Azzam is designed and build to travel at high speed in warm and shallow waters while providing luxurious and sophisticated accommodations. The main feature which is definetly design by Mario Pedol by Nauta Yachts was extremely complexed with number of challenges. The spirit, the power and design itself was hard to combine in such a short time. But after launching the yacht in 2013 we can surely say it’s well balanced in it’s proportions and also looking smaller as actually really is. It has main salon 29 metres in length, with it’s beam measuring 18 metres. The yacht features approximately 50 suits with no large open spaces on the deck and contemporary modern design. Azzam has changed views of many yacht owners in so many ways, from technology view, dimensions, and it’s performance. 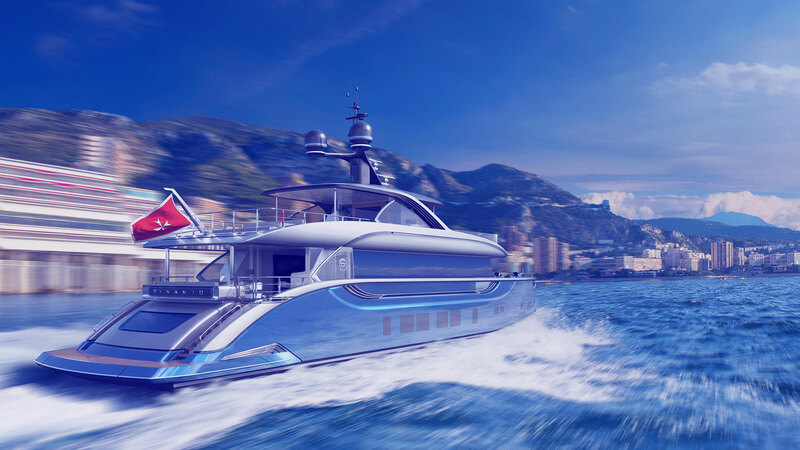 Let’s just mention few things you can use on this amazing super yacht – two swimming pools, two helipads, a hall, a cinema, an armour-plated master suite and so much more. So, this is surely not a yacht only for pleasure and sun bathing. Design of this Super yacht has involved with character and purpose of it, with timeless elegance and many elements of contemporary modern design. Design itself is highly confidential, but from some photos it features six decks. The yacht is capable of providing accommodation for proximate 50 professional crew members. Like others yachts from Lurssen Azzam is environment friendly with decrease carbon dioxide, noise and soot emissions, as well fuel – efficiency. There is also included facilities to use waste heat from the engine to operate the yacht’s desaliantion system for drinking water. Azzam has definetly changed the history in super yachts world, with it’s strong character and will be present in the super-yacht fleet for decades.